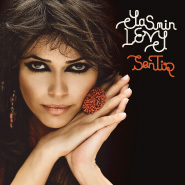 Since her recording career began in 2002, the widely celebrated young Israeli singer Yasmin Levy has worked to integrate at least two seemingly disparate traditions: Ladino, the Judeo-Spanish music of Spain, and flamenco, the country’s passionate, amply practiced counterpart. On her new album, Sentir, her musical vision coheres perfectly. The result is that the two styles are indistinguishable from one another; rather, they form a distinct and original artistry that, delivered in her virtuosic singing voice, has garnered her considerable praise since the album was released in the UK and Europe last year. Four Quarters Entertainment will release Sentir Stateside on February 8. Many of Britain’s most discerning and respected international music critics have lauded Sentir. The eminent journalist Chris Nickson calls it “a superb record from someone who’s become one of the world’s great singers.” Robin Denselow of The Guardian praises Levy’s “exquisite and passionate vocal style and bravely original musical mission.“ In London’s Sunday Times, Clive Davis deemed Sentir a “magical album” and a “mesmerizing accomplishment.” Reviews across Europe and in Turkey have been equally enthusiastic.